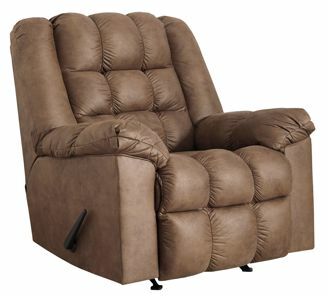 A sight for sore eyes—and tired muscles—the Adrano rocker recliner invites you to sack out in high style. Sumptuous bustle back cushioning with heat and massage feels every bit as indulgent as it looks. Weathered brown faux leather blends effortlessly with anything and everything.